On this episode, I have the privilege of speaking with Devan Shimoyama, a wonderful artist and close friend. Devan grew up in Philadelphia and went to Penn State for his BFA before completing his MFA from Yale University in Painting/Printmaking in 2014. Upon graduating, Devan began teaching at Carnegie Mellon University, which is where I first met him. 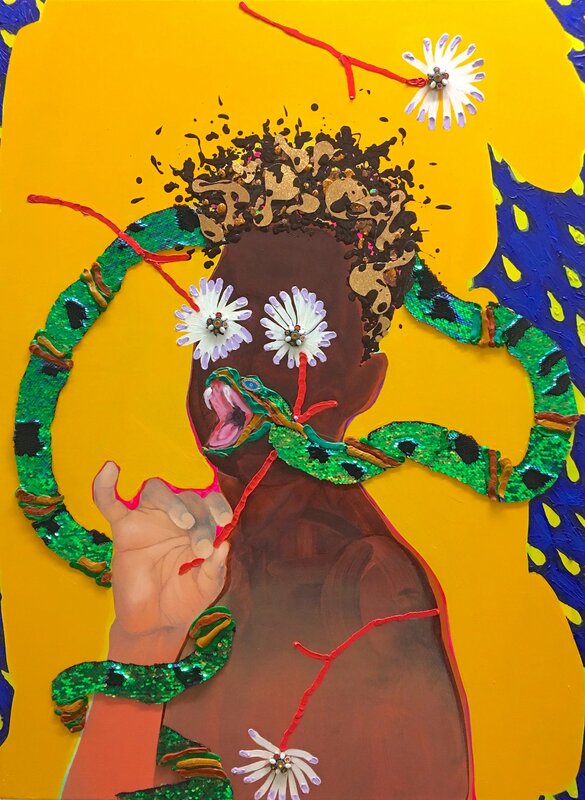 As an artist, Devan seeks to depict the black queer male body as something that is both desirable and desirous. Devan has shown throughout the United States and is currently represented by De Buck Gallery in New York City. In this discussion, Devan talks about his experience at Yale, fan art, barbershops, and sci-fi and fantasy novels. His debut solo museum show at The Andy Warhol Museum entitled “Cry, Baby” just opened last week and runs through until March 17, 2019. If you are in Pittsburgh and have a chance, please go and see the show. I hope you enjoy this.